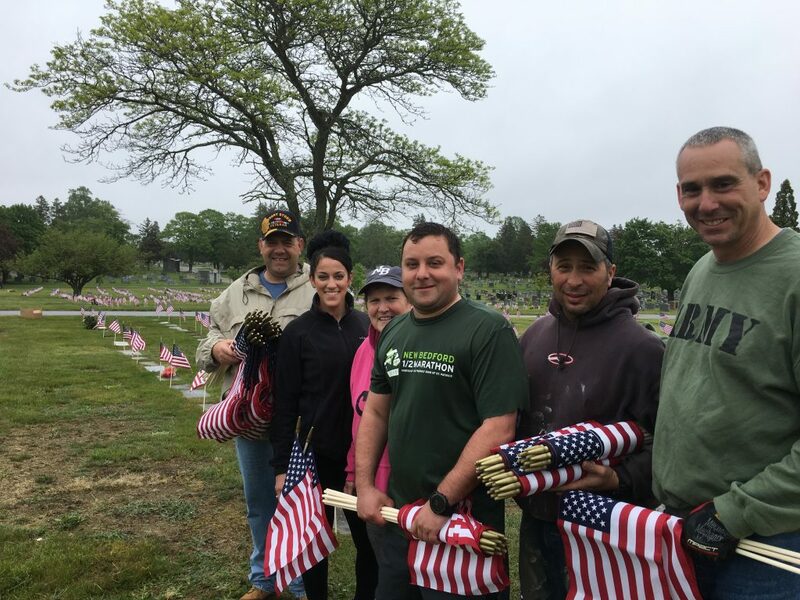 We are incredibly proud of our New Bedford Police volunteers who spent part of a rainy Thursday afternoon placing flags on the graves of veterans at Rural Cemetery. Please thank a veteran this Memorial Day weekend, and take a moment to remember a fallen hero. All gave some, some gave all. From left are Officer Gary Beaudoin, Desert Storm; Officer Sabrina Hinchey, Iraq; Det. Claudia Sampson; Officer Craig Ribeiro, Afghanistan; Sgt. Bryan Safioleas; and Officer Dean Lawrence, Desert Storm, Bosnia and Iraq. 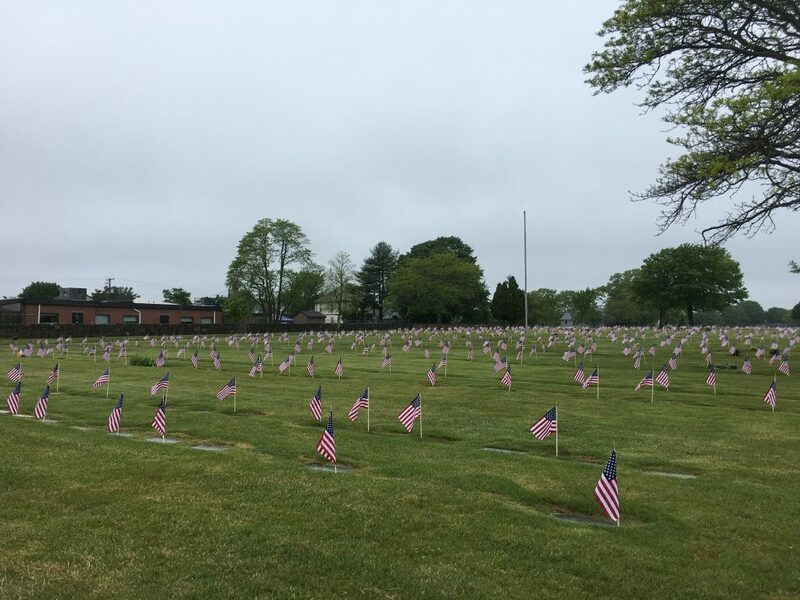 Officer Lawrence decorated the cemetery by himself before fellow police officers joined in about 10 years ago. Director of Animal Control Emanuel Maciel is not in the photo but also helped place flags.The officers volunteered on behalf of American Legion Post 1.